Annabelle Peyton is determined to save her family from financial ruin and sets out to marry a wealthy nobleman. 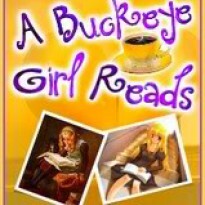 She has just one little problem: She has no dowry, and in her 4th season, has become a wallflower. With her 4th season about to come to an end, she decides to take drastic measures. After another evening of not being asked to dance, she becomes friends with the girls with whom have become wallflowers with her this season. The girls quickly bond, and a fast friendship is formed. They hatch a plan to help one another get married, starting with the oldest wallflower-Annabelle. However, the attractive, rich yet commoner Simon Hunt gets in the way of their plans. Annabelle fights her attraction to him, because while he might be rich he has no title and isn't suitable for her. Will Annabelle's attraction to Simon win over her desire to marry a titled gentleman? This book reminded me why I love historical romances so much. There was just a magic to the story that had me staying up much too late each night to finish it. 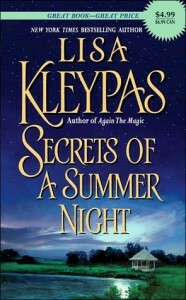 I now know why Lisa Kleypas is so popular-she just has that certain something that makes you want more of the story. I loved how even though there was the traditional "I can't be in love with him" storyline, it worked, and the reader still somehow felt the pull between the two characters. I can't wait to read the rest of the Wallflowers series, and more of Kleypas. I really don't know why I resisted reading this author for so long!